I'm not quite to this point of minimalism yet, but I love imagining what 100 Things I would keep if I whittled things to that number. I don't usually include things like furniture or dishes, just a list of my personal items ~ as if I were a world traveler with only a bag full of stuff. I especially love creating this list when I feel the need to de-clutter. It reminds me of what I really use and helps me let go of the rest. 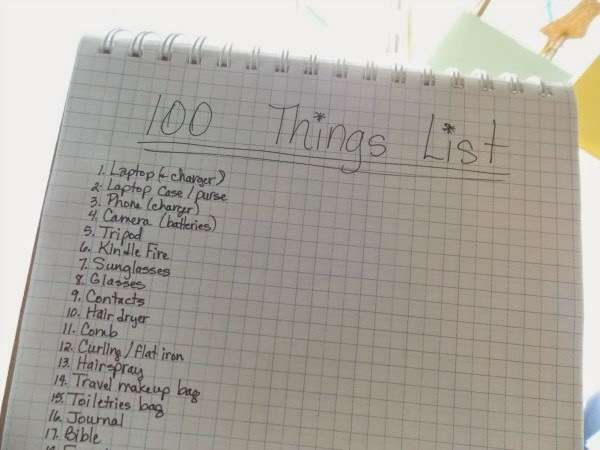 I'm curious, what would be some of the things on your list if you pared down to 100? I would have many of the same thing that you listed...laptop, journal, pens, sun dresses, earrings, flat iron, sandals, gym shoes, books, etc. Angela, I probably should've listed pens as plural too, because I love them so!